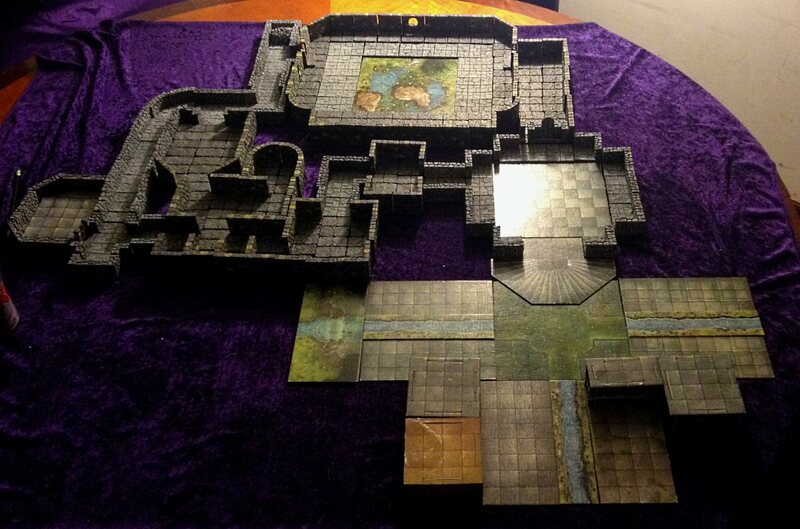 This is the bottom layer of the buried city of Xak Tsaroth, the lair of Kisanth the black dragon. Minor (and major) changes have been made but it keeps its general shape and essence. 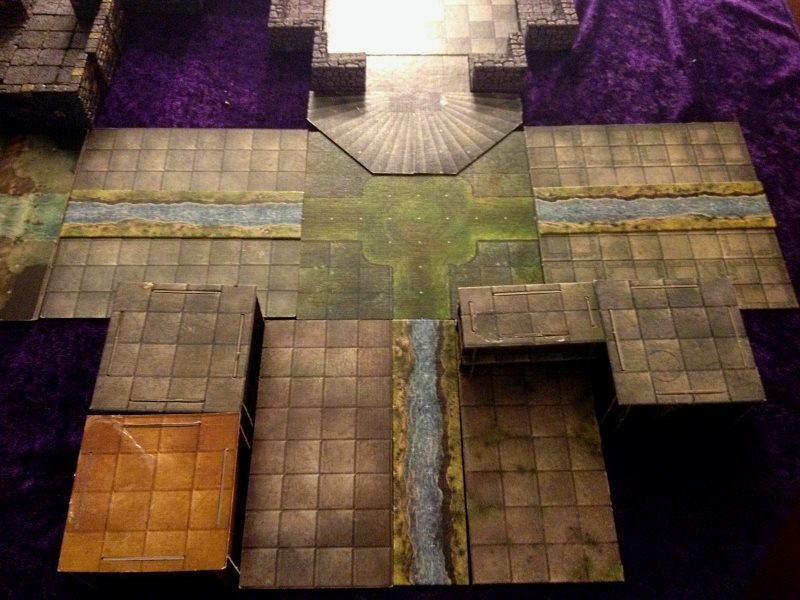 This is the shattered plaza where play begins. A river is joined in the center and flows down the center of the avenues, with crumbling buildings lining them. 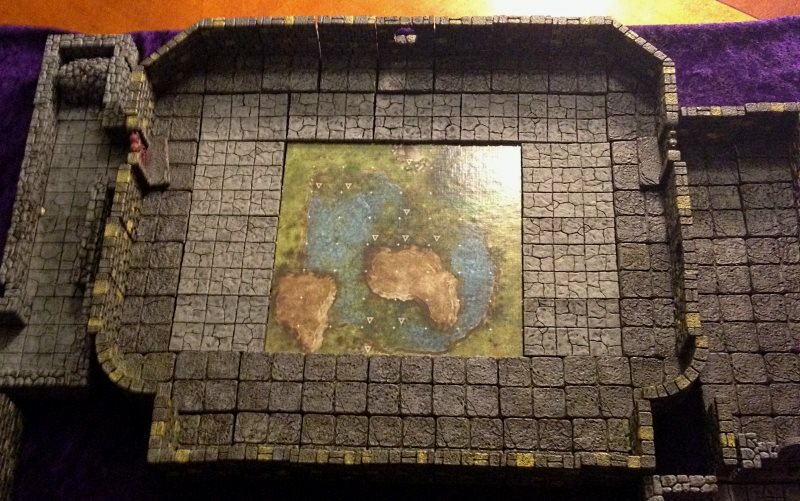 This is a good image showing the three types of dungeon tiles used: D&D tiles are made from cardboard, Itar’s Workshop tiles are lighter grey with half as tall walls, half as thick floors.